Back in the ’70s, Clayton County didn’t want to be part of MARTA, Atlanta’s regional transit service. It was one of the suburban counties that “opted out.” In fact, all of Atlanta’s metro counties opted out except DeKalb and Fulton — the two that share the city of Atlanta proper. But times are changing. Clayton County, where the population of residents with low incomes is increasing, eliminated its bus service altogether in 2010, during a recession-era budget crisis. Now the county is seeking permission from the state to propose a tax increase to its residents that would make it the first new MARTA county in four decades. On Nov. 4, Clayton County voters will decide on a measure to increase the local sales tax by a percent to join MARTA, the regional transit system. Doing so would restore bus service and jumpstart planning for bus rapid transit or a rail extension in the years to come. As county commissioners debated whether or not to put the question on the ballot, they heard hefty support from residents, who turned out to meetings to urge commissioners to make a vote happen. And most of the commissioners saw the need. Clayton voters face a simple question on November 4: [whether or not to] raise local sales taxes by a percent to join MARTA, create new robust bus service into the county starting in March 2015, and save half of the revenues (locked away in escrow) for planning or building some higher capacity transit in the years to come. 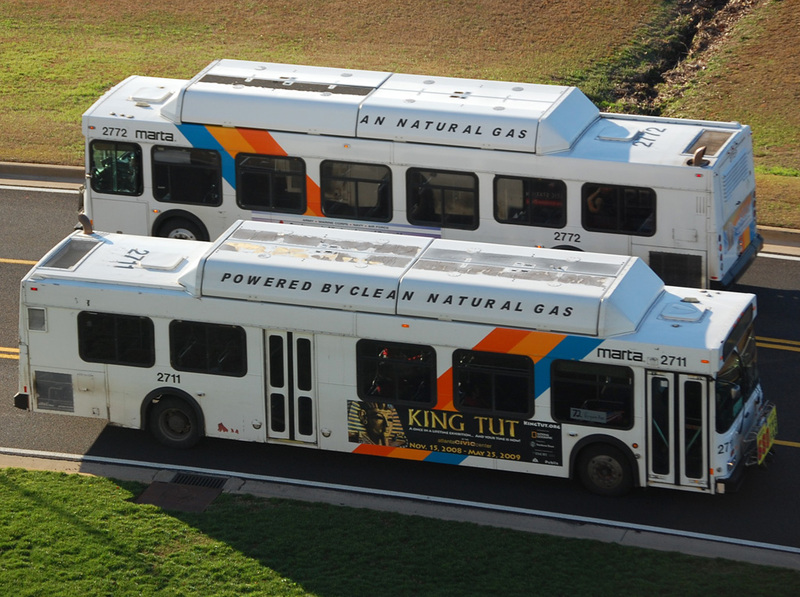 Clayton County provided some 2 million rides a year before its transit system collapsed. Now many residents have lost access to employment and other opportunities. Davis says local officials think the measure has a strong chance of passage in November. Elsewhere on the Network today: Bike Portland reports that two years after the city increased parking requirements, some mandated parking garages are filling with bikes, not cars. Human Transit explains that free park-and-ride lots aren’t great for transit or local development. And the Bike League discusses the legality of the Cherokee Schill case — a Kentucky woman who was arrested and ordered to stop riding her bike to work.